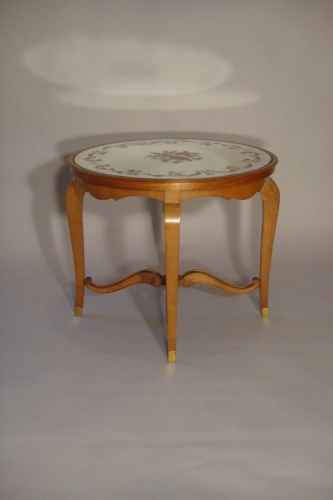 Beautiful French 1940`s carved walnut occasional table with original verre eglomise top and sabot feet. An occasional table of wonderful quality. Shaped walnut legs with a lovely detailed eglomise mirrored top.